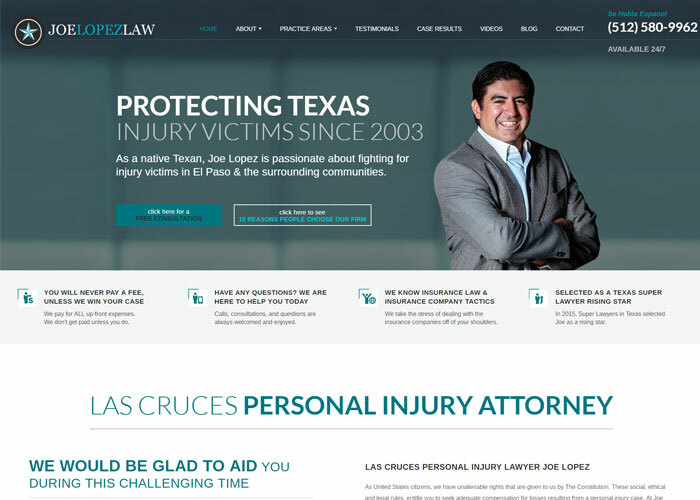 Our distinguished Las Cruces Personal Injury Lawyer Joe Lopez has represented injured victims since 2003. We take pride being very selective in the cases we choose allowing us to give all our clients the special attention they deserve. Our goal and main focus is to achieve exceptional results.